It’s also giving the rest of its lineup a pretty enticing makeover. Just a day after learning that Porsche makes an absurdly high $17,225 in profit per vehicle it sells, Stuttgart’s sports car company sent out a press release detailing a bit about how it accomplishes this feat. Well, not quite, but the new connectivity features, expanded color palette, and a horsepower boost sure doesn’t hurt its lineup’s appeal. What’s more is the horsepower boost is a bargain given how low Euro exchange rates have dropped, costing only $11,000. Enticing? Yes. Reasonable? Well that depends on your income, but the fact that we made a mental checklist of which bodily organs we need and which we could sell for $11,000 goes to show just how good Porsche is at extracting money from its clientele. That’s because the five digit premium buys larger turbochargers, the Sport Chrono package with associated dynamic engine mounts, a modified brake cooling system, and a sports exhaust system with two central tailpipes. 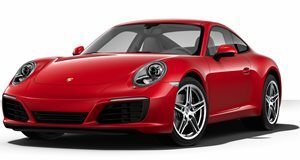 It’s available only on the 911 Carrera S, Carrera 4S, and Targa 4s models and boosts power by 30 horsepower for a grand total of 450 ponies. Not bad but talk about minimal bang for buck. Luckily for those who have the money but have already ordered their 911, Porsche is offering owners a retrofit provided they’ve already spec’d their cars with the Sport Chrono package. 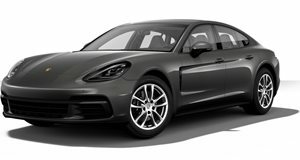 Those not interested in power still benefit from Porsche’s 2018 model year upgrades, which extend to encapsulate the entire brand's model range. This includes expanded Porsche Connect features, allowing Porsches in 14 countries to use an integrated SIM card with LTE connectivity to access navigation and infotainment goodies. Porsche Connect, which is supplied on 911 and Panamera models but remains an option for all other models, will soon gain the option of two data packs. The first package supplies seven gigabytes for 30 days allowing drivers to stream music and use onboard Wi-Fi. The second data package allows you to purchase an additional gigabyte at a time offered as a top-up if you run out of 7 gigabytes and thankfully these additional bits are usable for an unlimited period of time. Stepping away from the unsexy infotainment system and to the lust-worthy color schemes, Porsche will be adding a few new interior and exterior shades to its entire range in order to keep things looking fresh. Again, no mention on how much these will cost, but in all likelihood they’ll be a contributing factor to Porsche’s profitability. Happy shopping, one-percenters.